For those who love to make toy softies, this project is a must-have. 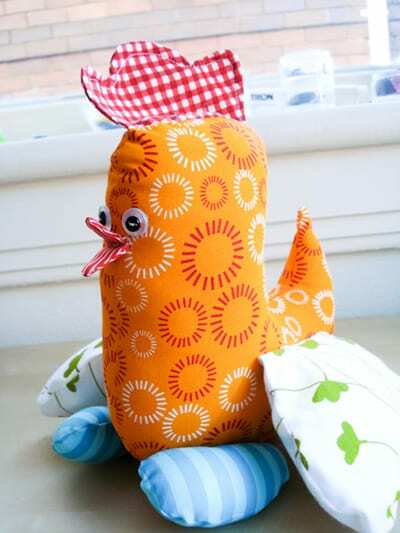 Create this adorable chicken softie with this FREE Pattern and Tutorial for your little ones or as a gift for your loved ones. Select your own favorite fabrics to create a unique chicken softie. Happy sewing! Fabric sizes are approximate. If you are new to sewing, you may want to use larger pieces to make turning curves easier. Take a look at this Flora the Elephant Softie, too! Too stinkin’ cute. Thank you! I’m going to make the feet and wings a lot smaller, and maybe with a little detail.